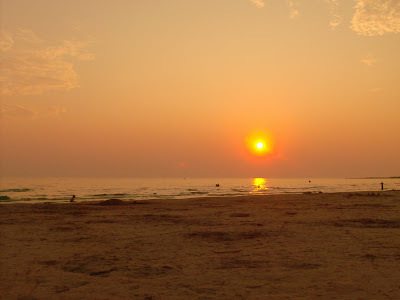 Growing up, I loved Sauble beach. I mean, what’s not to love about clean warm water, a fun boardwalk filled with arcades, ice cream and tacky vendors and at seven miles long, the second longest freshwater beach in the world! 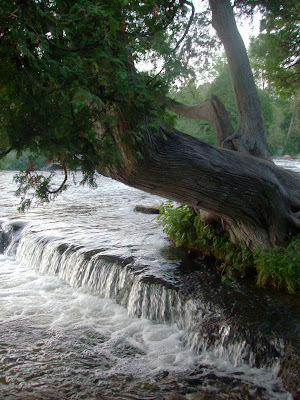 When the suggestion was made to try camping at Sauble Falls Provincial Park, I was anxious to find out how the area had changed. I was not disappointed. Sauble Falls Provincial Park is located just north of the town of Sauble Beach and is a relatively small park, featuring just 152 campsites and only 53 of these with hydro hookups. The park is divided into 2 campgrounds, separated by county road 13. Although the immature forest of the area does not lend itself to providing privacy, the best sites in the park in terms of size and location are: 31, 33, 35, 37, 39 and 40 in the West Campground and 102, 104, 106, 108, 110 and 112 in the East Campground. All of these sites back onto the Sauble River as well. Avoid sites 46 and 43 as they are very close to an access road. 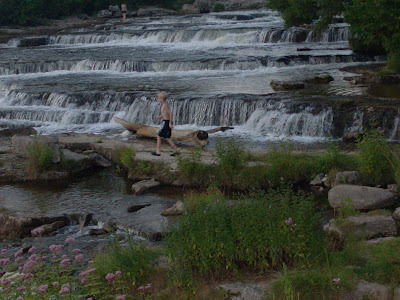 The main feature of the park is Sauble Falls itself, a multi-tiered waterfall that provides a great spot for wading and photography. For the more adventurous, there are spots where people can be found jumping from the ledges into the cascading water below. Canoe and kayak rentals are available. 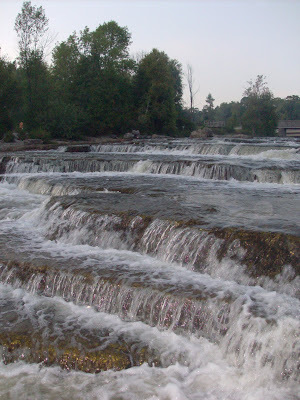 Just a short drive from both Sauble and North Sauble beach and their legendary shoreline and sunsets, Sauble Falls is a worthwhile destination and a great jump off point for further exploration of the Bruce Peninsula. Happy New Year, and thank you all for your interest and comments regarding this site. 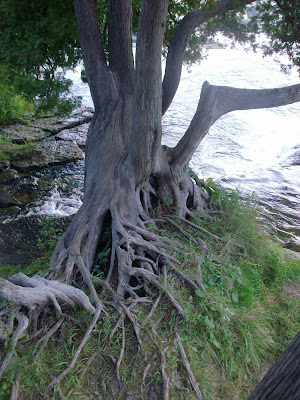 I look forward to sharing more in 2010! !